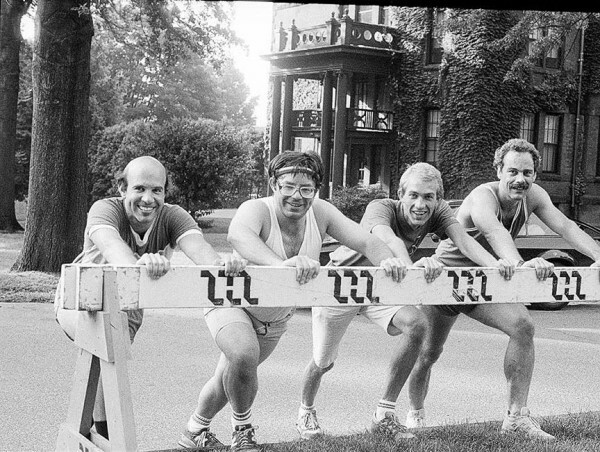 E-Journal photographer Phil Straus recently found this photo in his archives and we asked readers if they could identify the runners and the year and location of the U.S. Congress. First, the answers. The runners (l-r) were: Eric Osman, Jim Kerwin 1P, Anders Kierulf and Bruce Amos. The Congress was the third, in 1987, at Mount Holyoke College in South Hadley, MA. The winners: Keith Arnold, Terry Benson, Roy Laird, Trevor Morris and Debbie Siemon.